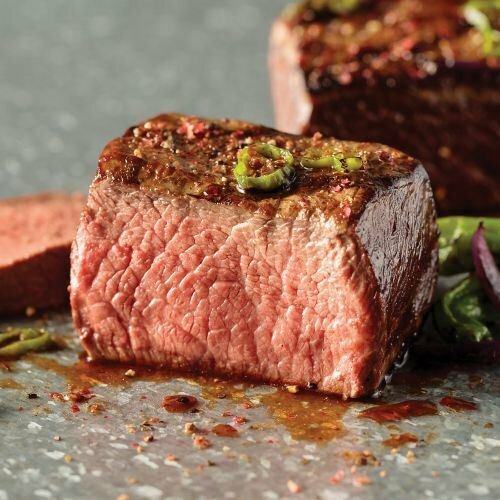 Make any gathering memorable with The Grilling Collection, an assortment of delicious gourmet items from Omaha Steaks! All of your favorites are included in this package; our flavorful Top Sirloins, juicy Pork Chops and Chicken Breasts, premium Stuffed Sole, delicious Stuffed Baked Potatoes and famous Gourmet Franks. With that variety, you're sure to thrill your grill, your family and your guests! INGREDIENTS: Beef; Pork; Sole, Water, Vegetable Oil (Canola, Corn, Cottonseed, Soybean And/Or Sunflower), Enriched Bleached Wheat Flour (Flour, Niacin, Reduced Iron, Thiamine Mononitrate, Riboflavin, Folic Acid), Palm Oil, Contains 2% Or Less Of: Unsalted Butter (Pasteurized Cream, Natural Flavor), Vitamin D3, Scallops, Citric Acid, Crab, Modified Potato Starch, Nonfat Dry Milk, Vitamin A Palmitate, Corn Starch, Disodium Phosphate, Salt, Onion Powder, Seafood (Lobster, Clams, Shrimp, Crab), Soy Lecithin, Vinegar, Non-Fat Dry Mlk Solids, Sugar, Spices, Cheddar Cheese (Pasteurized Milk, Cheese Cultures, Salt, Enzymes), Yeast, Butter (Cream, Flavorings), Natural And Artificial Flavors, Hydrolyzed Corn & Soy Protein, Whey, Leavening (Sodium Bicarbonate), Maltodextrin, Lemon Juice Concentrate, Buttermilk, Beta Carotene (Color), Caramel Color, Extractive Of Paprika (Color), Sodium Tripolyphosphate (To Retain Moisture).